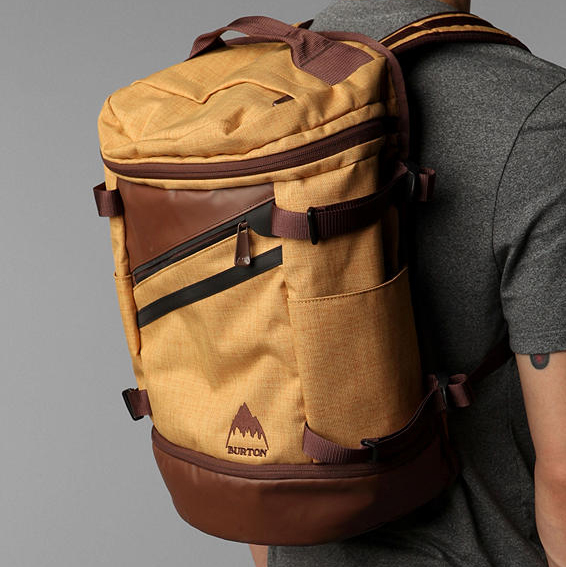 From Burton comes this oversized Transistor Cityline backpack. Made of a tough woven poly shell with poly leather trim, itâ€™s equipped with an integrated padded laptop sleeve, zip pockets at the front, separate shoe storage pocket and cargo pockets at the sides. Ready to keep you organized as you go about your day, the backpack is available online through Urban Outfitters.